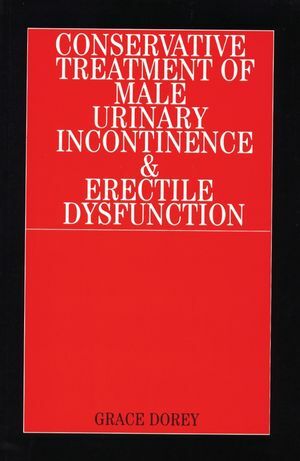 This work covers the anatomy, physiology and the continence mechanism of the male lower urinary tract. The different prostatic conditions are discussed in detail, together with the range of medical and surgical investigations and treatments. The various types of incontinence are explained, and a comprehensive classification of male urinary incontinence tabulated. The subjective and objective physiotherapy assessment is covered chronologically to enable the clinician to conduct a meaningful investigation and arrive at a logical diagnosis. Recommended conservative treatment options are provided for each type of incontinence, with a range of patient advice added for completeness. There are two chapters on the aetiology and conservative treatment of erectile dysfunction which are based on an extensive literature research. The text is primarily for those specialist continence physiotherapists who treat female continence problems but who are unsure of the treatment for male patients with lower urinary tract symptoms. Grace Dorey Phd, FCSP, is a Professor of Physiotherapy at the University of the West of England in Bristol, UK. 1 Lower Urinary Tract Symptoms. 2 Anatomy and Physiology of The Male lower Urinary Tract. 4 Prostate Conditions and Their treatment. 11 Conservative treatment for Erectile Dysfunction. 12 Setting up a Continence Service.